Hi everyone! Todays post isn't about beauty or fashion but something I want to share regardless. Lately I got thinking about the world (wow, you'd think I was ninety) and it made me realise that lots of people, myself included, don't own 'proper' photographs anymore. What I mean by proper photographs is actual printed images that you put in photo albums. Nowadays its all about iphones and digital cameras and although they're fabulous, flicking through photos on a laptop or phone isn't the same as holding a real photograph in your hands. When I was younger I remember my family taking photos and videos at every opportunity they had. Whether it was a special occasion, family holiday or just a relaxed day at home, they'd be there, capturing every moment. They still have those photos now, tucked away in neat photo albums, and looking back at them fills me with joy and happy memories. I travelled home to the Lake District recently and my Mum, Nanna, Sister and I decided to take a walk down memory lane looking through old photos and watching old videos (yes videos, remember those?). It was so lovely to see images from years and years ago that were still there, albeit a little bit worn out, to flick through and enjoy, decades later. It got me thinking that although I take hundreds of photos (I'm the girl thats constantly taking photos wherever she goes. Yes, even of my food), I haven't had any of them printed and put into photo albums for a good five years. It actually made me really sad to think that if my laptop were to crash or I lost my phone, years worth of happy memories and photographs would be gone. Just like that, in the blink of an eye. With this being said, I immediately decided that I had to print lots of my favourite images, sooner rather than later. The thought of losing them all made me shudder - it might sound dramatic but the thought of having no images to look back on when I'm old and wrinkly made me really upset. I want to be able to show my children and grandchildren old photos and re-live the 'good old days'. I didn't want to pay a fortune to get my photos printed (which is the only downside to 'real-life' photographs) so I took to good old Google to see which sites would print me a big batch for a reasonable price. 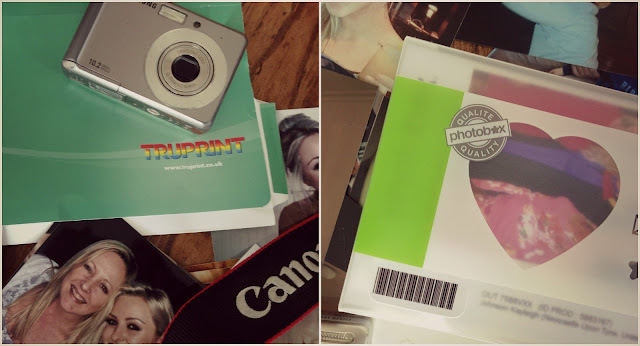 I was shocked by how many amazing photo-printing websites appeared in the search results and two of them really stood out to me - PhotoBox and TruPrint. I was amazed when I saw that Photobox are offering 60 free prints when you sign up to their website and TruPrint were offering 50 free prints if you signed up to theirs. Thats 110 free printed images for signing up to a couple of websites - amazing right? I must admit going through the thousands of images on my laptop and phone and only selecting 110 was quite a mission but it was lovely to look back at old photos and pick out the ones that were special to me. After I'd chose my 110 free prints I proceeded to the checkout expecting there to be some sort of hidden catch. Luckily, there wasn't, just a small delivery fee. I think I paid around £1.99 for delivery on both websites and as simple as that, hundreds of memories were on the way to me in the post. They both arrived only two days later (big thumbs up for speedy delivery) and I'm absolutely thrilled with them. I got such a huge sense of satisfaction looking through them all and I can't wait to organise them all into albums. That will be my next photo project - finding a website that sells cute and affordable photo albums. If you know of any, do let me know. This is quite a spontaneous post and not one I'd planned to write but I hope it gives you that little nudge to go and get some of your favourite photographs printed. The current deals on the PhotoBox and TruPrint websites are just too good to miss so do make sure you go and check them out, you won't regret it! They do lots of other cute bits and bobs too like photo books, canvases and calendars. "Photography is a scrapbook of your life". Don't lose any chapters from yours! I really love photography :) lately I've been trying to get a little better at it because I want to be shooting more fashion related pictures for blogging, haha. White balance and stuff like that is very important, especially when you're living in a rainy country just like me. Ok but that was unrelated! I love looking back at photographs and remember cool and fun things I've done :D it's awesome! Great post! I love 'real' photos! I have an old polaroid that I use on holiday to capture main tourist attractions. Beautiful post! You're bang on with no one having print outs any more! I love photos and the stories behind them. I've been on a printing kick recently too!! When I was at university my computer died taking thousands of pictures with it. Since then I've always had external hard drives and am super paranoid! I used photobox to get two 100 page books printed, and they are fantastic. I used groupon vouchers so they were only about £30 pound each instead of 100, and they have them pretty regularly, it gives a professional finish to your pictures, I highly recommend it! This is such a lovely post. Photo printing costs so much now. Thanks for the links! oops, I meant boots* haha. that's so true! we don't think about printing pictures nowadays! i printed some like a year or so ago, i need to print some more asap! 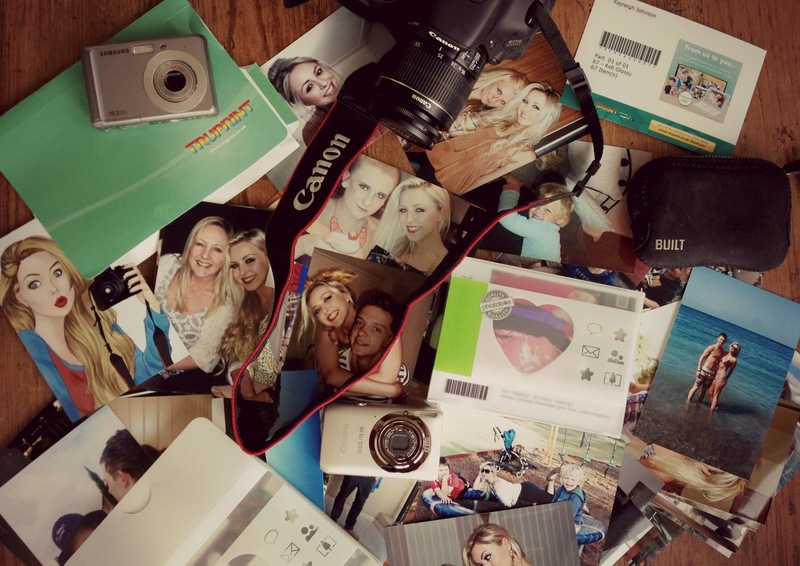 I love taking photos and i agree with you, there is nothing better than having one to hold, i always try to print off all my photos every few months and keep them in photo albums :) Snapfish is a good website to look at too. I love real proper photographs like you said, my family are exactly like yours, and I take photos at every opportunity now too! Love the idea of making wall collages with them like you see on Tumblr or We Heart It. I'm someone who still prints pictures. I have two photo albums full of pictures from university and many others from random events. I love going back home and flicking through old photo albums and seeing my parents as children and myself as a child. Ive never thought of it like that before but you're right, if we all lost our computers or phones, memories and photographs would be lost just like that. I think I am going to have to think about getting some photos printed now! This is such a wonderful post and so true too! Looking through photos is always one of my favourite things to do :) I haven't printed out any in a while and really need to, my computer broke a little while ago and I lost all mine which was totally devastating :( Love the thought of showing our photos to our grandchildren! Brilliant post, thanks for the tips about those two sites I will definitely be having a look. I used to use the Kodak site until the company went bust, a couple of years ago I had good four years worth of pics printed over the course of the year and filled up my albums. I need to get back on it so will definitely check out those sites. Love this post! I got loads of photos printed to put around my uni house to make it feel more homely. myunidays.com always have offers for free prints if there are students interested in doing this, but I think most of the offers they show are available to non-students too. I still print out my favorite pictures and put them in an album :-) I guess I am old fashioned. What a fabulous idea! I recently came across an instragram site that allows you to print out photographs straight from your instagram however the price is pretty expensive. I wish I had come across your post sooner. 110 prints for only £1.99 that is amazing! I'll be sure to come across to your post the next time I want to print out pictures to keep! Thank you! I had exactly the same thoughts a few months ago, and now every month I spend £20 at boots and get something like 400 prints done, its great fun picking what ones to put in an album, and its the perfect excuse to go shopping for some lovely photo storage! awesome cant wait to sign up!